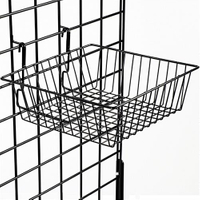 This gridwall basket features an angled design to highlight bulk items on display. 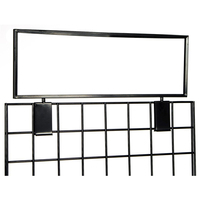 Each black steel holder is 12" wide and 12" deep, and the sides angle down to a 4" deep front panel. 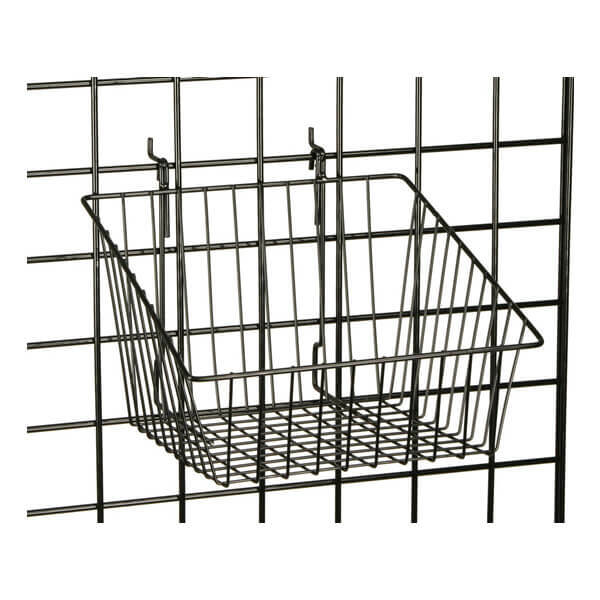 This bulk retail container, black gridwall basket is a great way for a retail store to showcase smaller items. 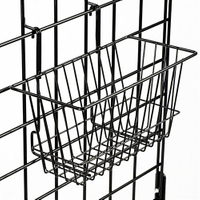 Sodas, chips, small stuffed toys, even baseballs or tee-shirts will all stand out in this type of holder. 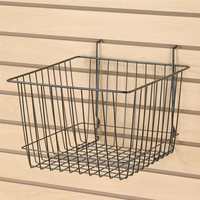 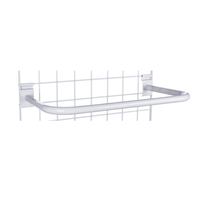 This POS gridwall basket, also known as a display accessory for grid wall panels, is economical as well as versatile. 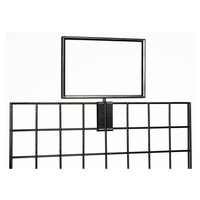 Slatwall and grid wall panels can create custom retail displays for businesses. 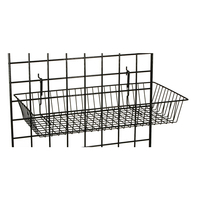 This black angled gridwall basket creates an eye-catching display that will attract customers. 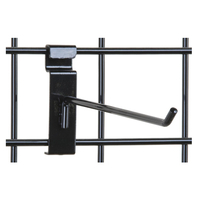 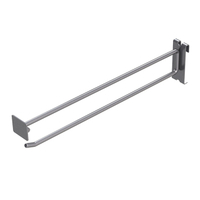 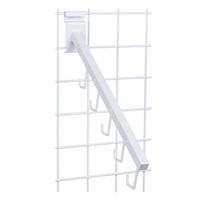 Almost any merchandise will stand out in this type of holder because it offers high merchandise visibility. 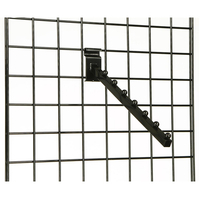 This wire panel accessory, gridwall basket for smaller items is effective whether used alone or in conjunction with other grid wall accessories and tools. 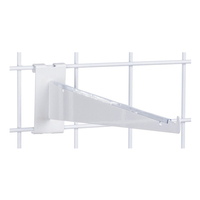 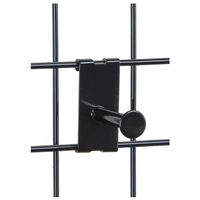 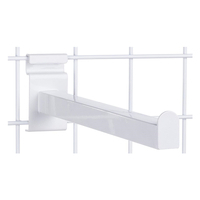 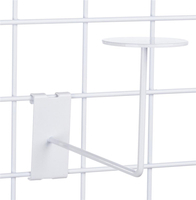 Installing this type of display fixture is easy using the hooks at the back. 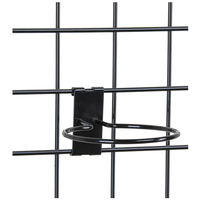 To attach this gridwall basket, also known as a hanging retail display, simply clip the hooks onto the wire panel in the desired location. 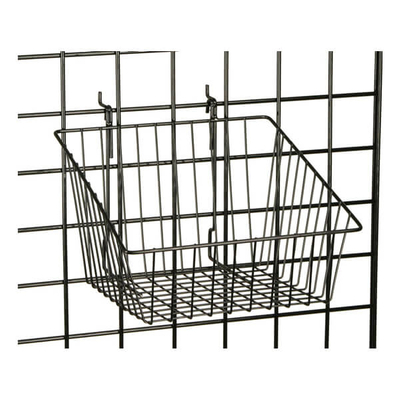 Gridwall Baskets: for Slatwall and Gridwall 12" x 6" x 6"